Siliguri: Prolonged silence of central leaders in both the camps of the Gorkha Janmukti Morcha has led to confusion among party workers and supporters in the Terai area spread across the Siliguri sub-division. It has been more than a year that the hill party has not planned any major political event in the foothills or in the plains. Even after the statehood agitation and the strike were withdrawn in September-end, there is no hint from the party - whether from the Bimal Gurung lobby or the Binay Tamang camp - whether they would continue to lie low in the plains or would try and consolidate their support base. 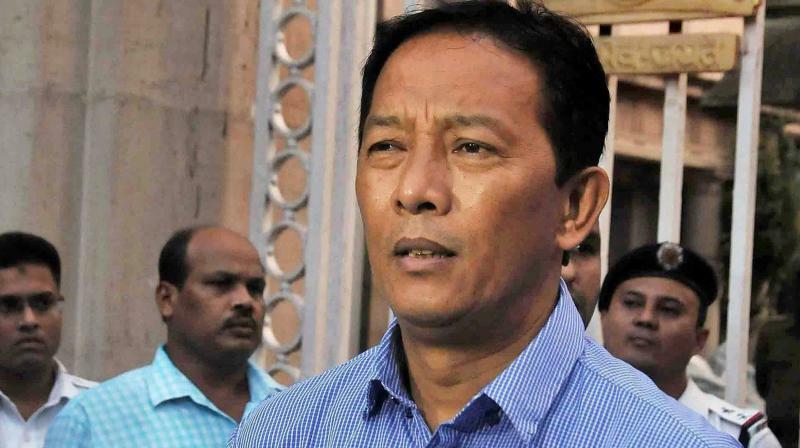 "There is none from the Bimal Gurung lobby in these days who can organise political programmes in foothills and particularly in the surrounding areas of Siliguri. On the other hand, the Binay Tamang lobby is silent and are no indications that they are interested in maintaining the support base in plains. Altogether, our workers and supporters here are living with utter confusion," said a Morcha leader. It is due to this confusion that the party has witnessed an exodus in Dooars as most of the leaders and supporters have defected and joined Trinamul. "Throughout the entire Dooars belt whether in Malbazar sub-division in the west at Jaigaon in the east, most leaders have switched to Trinamul. This has happened because after the split between Bimal Gurung and Binay Tamang, they were confused as whom they should support and secondly, no instruction or assurance flowed in from either of these lobbies," a former Morcha leader based in Kalchini, said. Political observers pointed that the party did not made any move even though Trinamul virtually obliterated its base in the Dooars. "If same thing happens in Terai, it would be obvious that the Tamang lobby wants to concentrate on the hills. This would jolt the BJP ahead of the rural elections next year. The BJP had banked on the Morcha since the latter's formation in 2007. Now if the presence of Morcha gradually depletes from the foothills, the BJP will have to build its own base," said an observer. rolonged silence of central leaders in both the camps of the Gorkha Janmukti Morcha has led to confusion among party workers and supporters in the Terai area spread across the Siliguri sub-division.